Peachtree Malone is a fabulous gated community of loft homes located near Old Antique Row in Historic Chamblee just across from MARTA. Love your home location convenient to the Peachtree Golf Club, and the Dekalb Peachtree Airport. 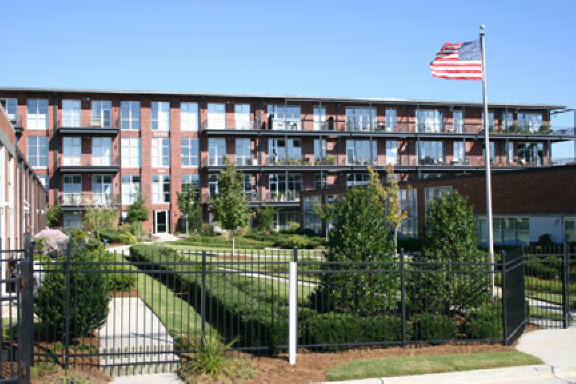 The Peachtree Malone development consists of the original buildings along the courtyard, and a new building of garden style loft homes which includes elevator service. Commuters will appreciate access to travel routes along Peachtree Road, Chamblee Tucker Road, Chamblee Dunwoody Road, and 141. Community amenities include a physical fitness gym for the enjoyment of homeowners, and gated access for added security.